There are many questions associated with these whiteboards but one of the most commonly asked questions is what is the nature of gesture technology and does it is benefit the interactive whiteboards? Gesture technology is an extremely advanced technology where the user is able to control the whiteboard and the AV devices such as touch screens, whiteboards, projectors, audience response systems, laptops, video games, and computers where most movements are done with the hand and/or fingers. Digital and these whiteboards are an excellent example of how this amazing technology is being used, especially in the education system. It's a breeze for students and teachers can rotate, swap, move, zoom in or out, or enlarge, just by making gestures with their fingers or hands. This makes a teaching session interactive and much more interesting to the students regardless of age. What an excellent tool for aiding in tasks like annotations and handwriting. Most whiteboards support traditional stylus or multi-gesture touch technology, as well as video and third party software. That's one of the most important features of the interactive whiteboard, it creates an environment where student interaction is easy and it encourages student participation. These interactive whiteboards offer classroom technologies that make learning fun and enjoyable. Interactive whiteboards are a growing educational technology that will likely change the way our children learn, and for the better. 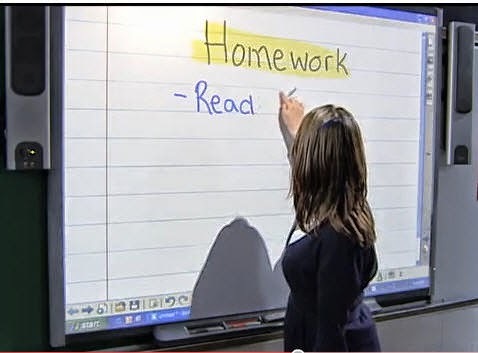 These student response systems are the new way of engaging students of all ages and they are the wave of the future when it comes to education today's use of interactive whiteboards is only the beginning. We are going to see all kinds of improvements when classroom technology reaches more classrooms over time.